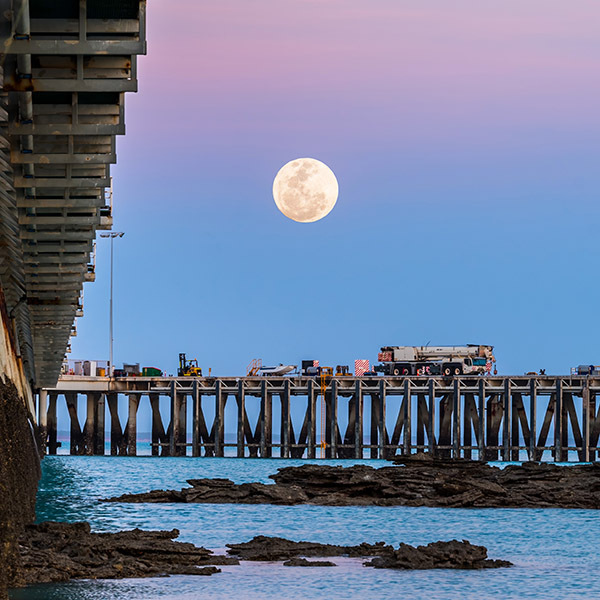 Night Sky Broome Photography Tours & Workshops | Broome, Kimberley. Have you ever wished you could photograph the night sky? Come and learn how to capture images of the heavens above and master the art of night Photography. An evening capturing the stars, you will never look upon the night sky the same again. Workshops available on set dates. See booking page for departures. From beginner, intermediate right through to advanced levels can be catered for. Groups are always small so there is lots of 1 on 1 teaching and advice tailored to the individuals requirements. Having your own DSLR or Mirrorless camera and lens/es is a requirement. How to prepare for a shoot – location selection. Camera and lenses to use. 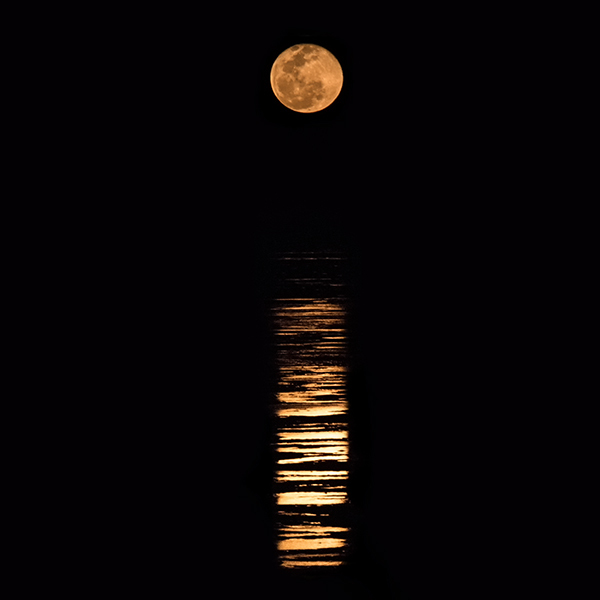 How to focus at night for crisp images. Camera exposure settings for different effects and shots. A general night sky education on moon cycles, milky way, planets, meteors, etc. 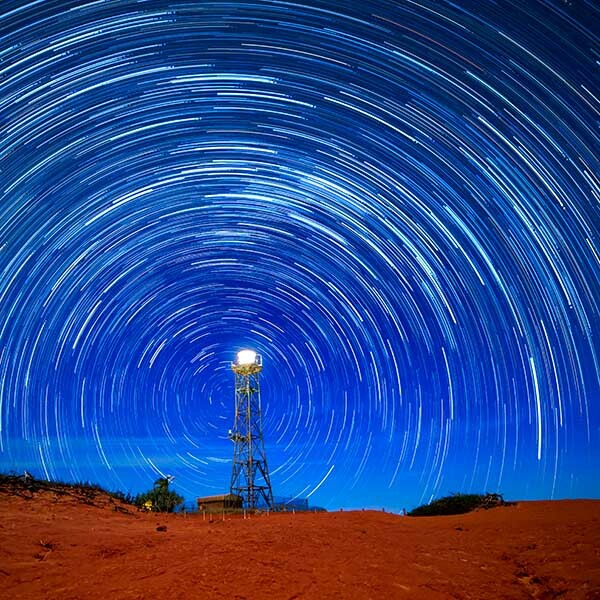 How to photograph the milky way, long exposure star trails and light painting. Post-processing advice and information to take home. A DSLR or mirrorless camera that has Manual (M) Mode. A fully charged battery and spare if you have it. At least 16GBs of memory card storage. A wide angle lens is preferred (at least 24mm) with an aperture of f/4.0 f/2.8 or faster. Tripod. We have a spare if required. Head torch. We have a few spares. 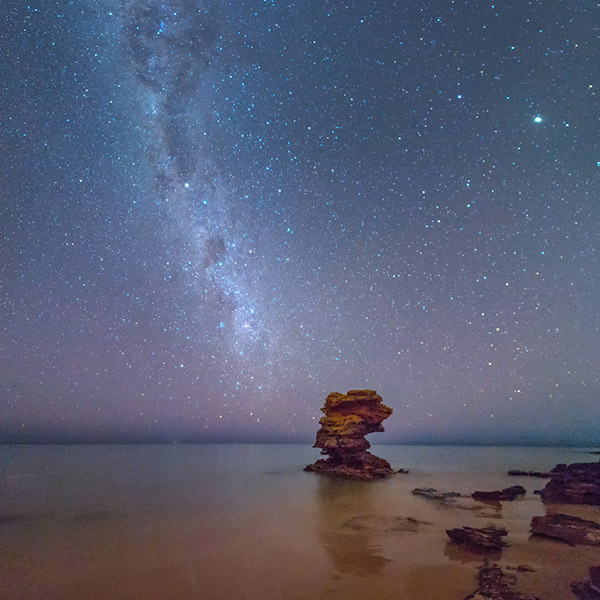 The Broome Peninsula has options for Night Sky photography on all 3 sides depending on the season, cycles, light required. 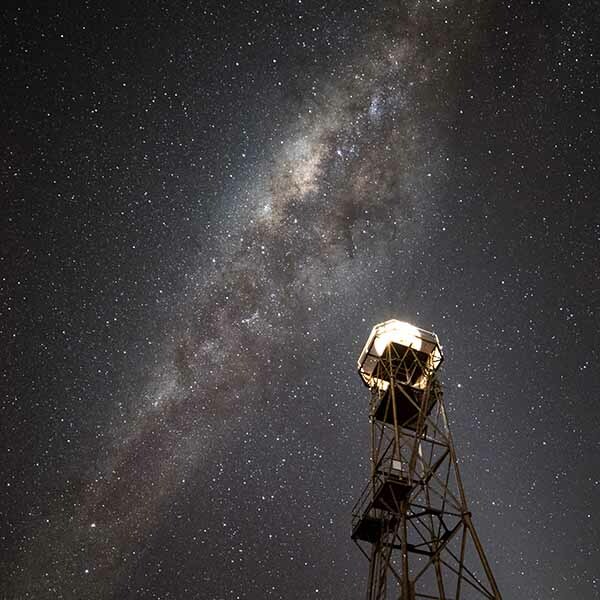 There are some amazing dark sky locations we use as well as areas which include some man-made light for effect. Typical locations include Gantheaume Point, Reddell Beach & Entrance Point which are all within an easy 5-10 minute drive from Broome. Tag along or Courtesy pick up from your accommodation is available. The 3.5 hr workshops are scheduled during the dry season months of April to October. Workshops are based around the darker phases of the moon but by no means are limited to that as elements of partial moonlit landscapes can enhance certain types of night sky photography. Always contact us for additional on demand departures. Early departures commence around 5:30 – 9pm, later departures can be 7:00pm to 10:30pm. We are happy to work around your holiday/work schedules or any special requirements. Short notice/last minute bookings welcome. How fit/mobile do I need to be? There are numerous locations that can be used, some car based others a short walk is involved (50-300m). All are still fantastic night sky photography locations. Most are on formed tracks or even beach sand. More inaccessible/demanding locations can be used if desired. Let us know of any mobility or fitness issues upon booking and we can tailor the locations to your requirements. Can I hire a Camera? If you are on holiday and don’t have all the right gear, there is an option to hire a camera. Early notice for this is recommended. Get in touch for details. $75 hire fee per workshop. A night sky photographers dream. Whether it’s your first time photographing the night sky or you have dabbled in it before, this workshop will have you discovering a whole new realm of rewarding and satisfying photography. A fantastic introduction into Night Sky photography which will develop life long skills in being able to capture amazing scenic landscapes.